StyleShoots Live for model videos and photos. StyleShoots Vertical for mannequin photography. StyleShoots Eclipse for footwear videos and photos. StyleShoots Horizontal for flat lay photography. Modular, sleek and made for eCommerce. 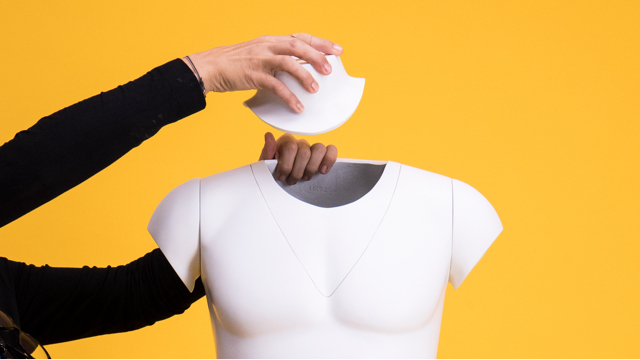 Our range of premium mannequins give you the perfect invisible man effect product shot. Move, rotate and lock mannequins into place. Our proprietary tech removes the visible caddy automatically in-shot so you don't have to worry about editing it out. Shoot handbags, shoes — you name it. Custom LED backlighting removes the background in-shot so you can get great up-close images.